Der Artikel Nekrokraft: Servants wurde in den Warenkorb gelegt. Servants is the first Full Length Album forged by Nekrokraft. This 9 track album, which holds over 42 minutes of blackened thrash metal, was spawned on the Ostrogothian plains of Sweden, during the constant midwinter cold of 2017. The brutal yet melodic blackened thrash sound found on their first release "Will o' Wisp" from late 2016 has been brought to an even more brutal place, but still keeps the mystical, dark impression of Nekrokraft through the foul harmonies and melodies that are present throughout the songs. The central part of this album however, is still the raw guitars thrashing in between blast beats and Angst's devastating vocals. 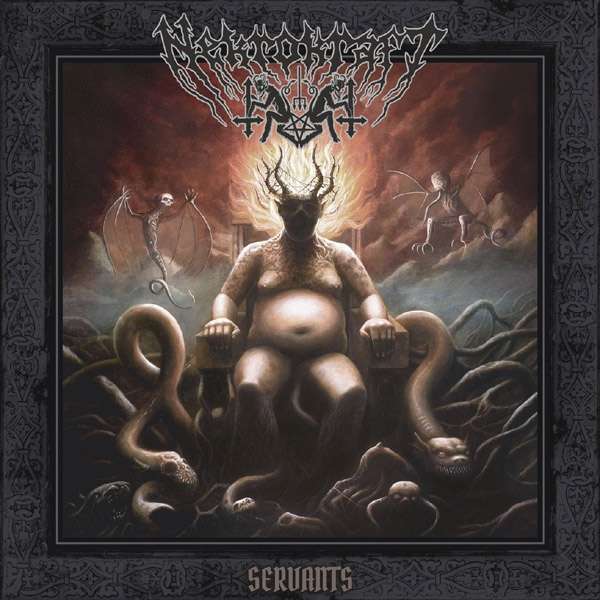 The lyrical theme on Servants is inspired by ancient mythology, both Babylonian and Scandinavian folklore. Needless to say, this is an album to be reckoned with in the metal year of 2018. "Raging over-the-top blackened thrash metal band, Nekrokraft clearly understand the desire to mosh faces off. This is the kind of skull cracking thrash that will remind you why you fell in love with heavy metal." 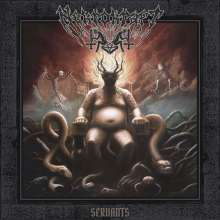 - Metal Injection Servants is recorded by Angus Norder, Nekrokraft and is mixed by Joona Hassinen in Studio Underjord. Mastered by Brad Boatright at Audiosiege. Artwork made by Mattias Frisk.